Can Cat or Dog Waste Be Composted? Common composting advice warns against composting dog and cat feces. There's a good reason for that: cats and dogs, being omnivores, produce waste that harbors harmful bacteria, things that would make us sick if our food were to come into close contact with it. If you are composting with the intention of using that compost anywhere near edible crops, do not compost dog and cat waste. However, if you are planning on using your compost on your lawn or to fertilize your perennial or rose garden, you can consider composting your pets' feces and using the resulting compost in your garden. Aside from making sure this compost never gets near your edible crops (that can't be stressed enough) you'll also want to let any compost with pet waste in it compost for a good, long time. Hot composting is the best option here, to kill off as many harmful microorganisms as possible. Another thing to keep in mind is the odor. Pet waste stinks badly. Your neighbors will likely not appreciate having a pile of dog doo next door. You can minimize the odor by trying this method, which keeps the waste contained. You'll need a large plastic trash can and lid. The can should have the bottom cut out of it, and holes drilled all along the sides of it. Do not put any holes in the lid. Dig a hole deep enough to sink the entire trash can into. The lid can be above the ground if you want, but the can itself should be in the ground. 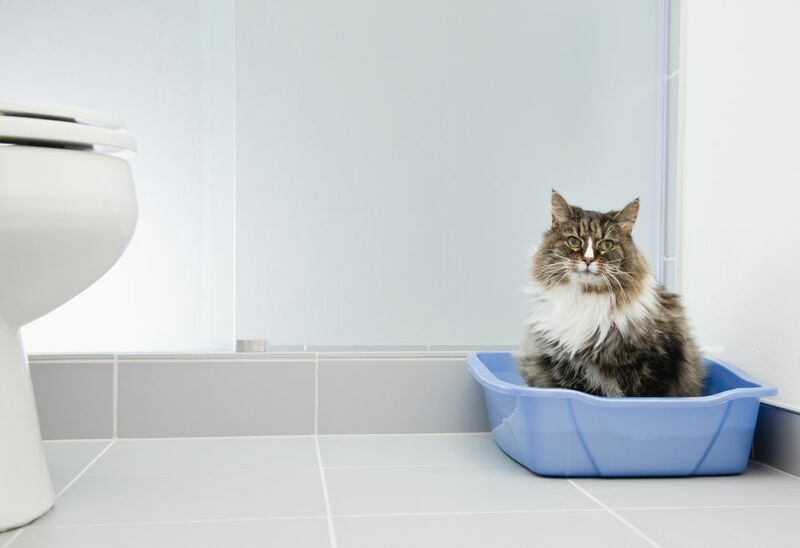 The reason for this is that, first, the odor will be somewhat reduced by having the feces underground, and secondly, worms and other decomposers can easily get into the pet waste and start helping break it down. Once you've got your can sunk into the ground, put a layer of shredded newspaper, fall leaves, or straw into the bottom, then start layering in your pet waste. Every time you add waste, add a bit of straw as well. Keep the lid on. The contents of the can should stay fairly moist, which will encourage decomposition. If you want to speed it up, mix the contents of the can every week or two. Really, it's a good idea to let this compost sit for as long as you can, even after it has broken down and looks like good, crumbly compost. At least two years is a good amount of time, enough time for the pathogens to all die off. Once you've got a nice, finished compost and it's sat for at least two years, you can use it in your garden. Again, do not use compost that contains pet waste on edibles! You can safely spread this compost on your lawn or in a perennial garden, or around shrubs as a topdressing. It's not for everyone, but if you really want to reduce the amount of waste your household produces, composting your pet waste may be something to consider. It requires precautions, patience, and space to maintain a separate area for composting pet waste away from any compost you plan on using in your vegetable or herb garden. Don't use clay based cat litter. Pine or paper-based kitty litters will break down in your pile; clay won't. The bigger the container you can compost in, the better. A 32- or 40-gallon trash can will work. You may need more space depending on how many pets you have.